Mesh Straightening Machines are developed to meet the process needs of the wire industry and are available in different models and operating specifications. 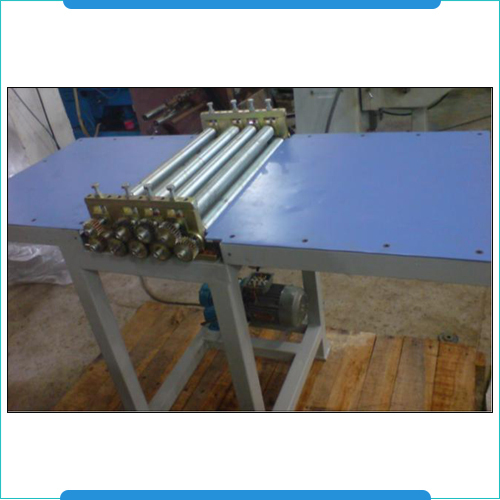 These precision designed and developed mesh straightening machines are available in nine rollers with roller diameter of 60 mm, maximum roller width of 700 mm and the presence of bearing blocks for a lower set of rollers. 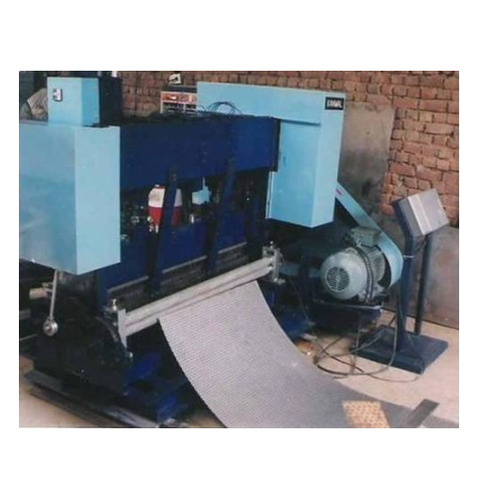 Available in mild steel fabricated structure and power rating of 3 Ph, 440V, 50 hz, 1kwatt, some other standard specifications of these machines include the facility to adjust top rollers, all rollers driven by set of gears and presence of reduction gear box so as to ensure smooth and precision handling of the operations. Nos. of rollers 09 nos. The Sheet Perforation Press that can be used for meeting the production demands of airplane wings, medical tables, car bodies, roofs for buildings and other things. These sheet perforation presses are available with maximum cutting width of 700mm and sheet thickness of 1.0mm. Further, these also feature set of feeding rollers, guiding rollers, hardened & ground cutters, pneumatically operated cutters, FRL unit and digital preset counter. Used for perforation and expanded metal cutting, some of the other standard operating options of these presses include option of setting length distance by rotary encoder, provision of clutch brake system for achieving better control, geared motor drive unit and precision fabricated mild steel structure finish.